Centennials are milestones- opportunities to reflect on where we’ve come from and where we are going. 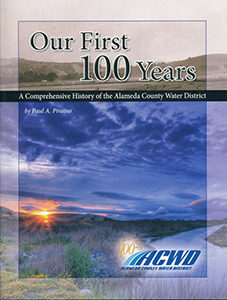 Alameda County Water District’s ability to reliably provide supplies of high-quality water has played a foundational role in the daily lives of all who live and work in the Tri-Cities. The district was founded in 1914 amidst an intense struggle to support southern Alameda County agriculture. After World War II, The District’s challenge became fulfilling the water needs created by our area’s rapid residential, commercial and industrial development.